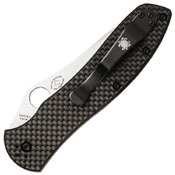 The Bradley Folder 2 is a direct reflection of Spyderco’s deep commitment to making even the best designs better through Constant Quality Improvement (C.Q.I.). It faithfully retains all the core qualities that made Gayle Bradley’s first-generation design so popular, but in a form that is slimmer, lighter, and more ergonomically refined than the original Bradley Folder. Its slightly longer handle offers enhanced leverage and control, while the subtle texture and flat profile of the scales provide a secure grip that remains comfortable even during extended use. 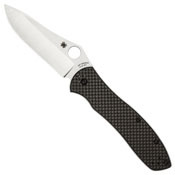 The blade of this highly evolved folder is hollow-ground from high-alloy, CPM-M4 tool steel. This special-purpose high-speed steel was created for applications requiring better wear resistance and toughness than M2 or M3 alloys. Thanks to the particle metallurgy process, its structure is extremely homogenous and offers superior dimensional stability, grindability, and toughness. CPM-M4 is, however, a tool steel—not a stainless steel—and must be maintained properly to avoid corrosion. 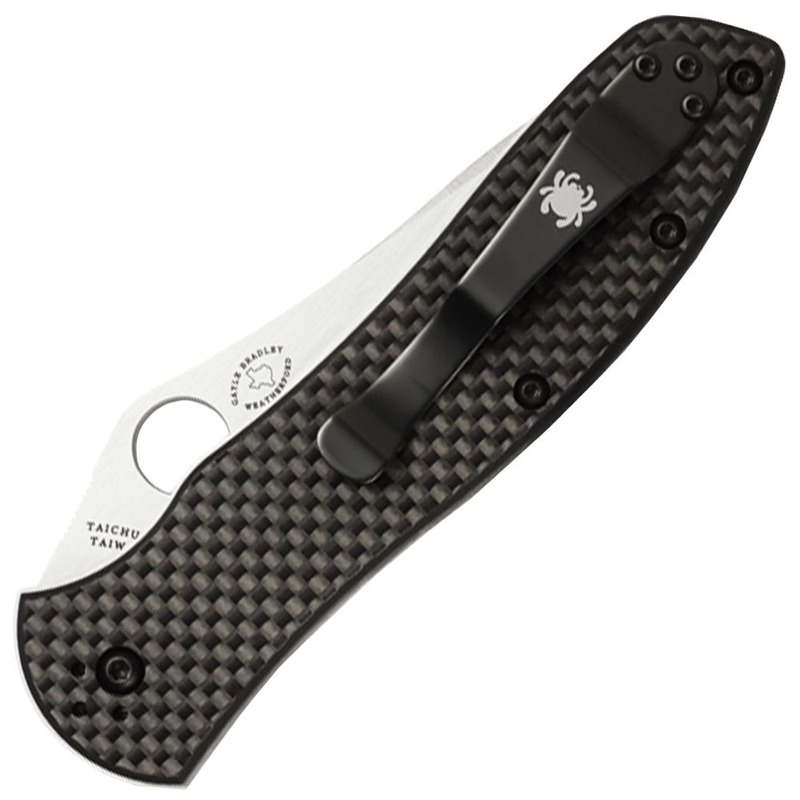 The Bradley Folder 2’s handle features exceptionally thick full skeletonized stainless steel liners, a high-strength LinerLock mechanism, and carbon fiber/G-10 laminate scales that are slightly smaller than the profile of the liners. This handle style offers a hand-filling grip and excellent tactile orientation, while still keeping the knife slim and easy to carry. A four-position hourglass clip allows a full spectrum of carry positions, including both tip-up and tip-down carry on both the left and right sides.